Muffin (the English one) —> in Italy we don’t know there are even these muffins I find here, I knew just only the sweet american muffins. If you, like me, didn’t know, read the difference here. 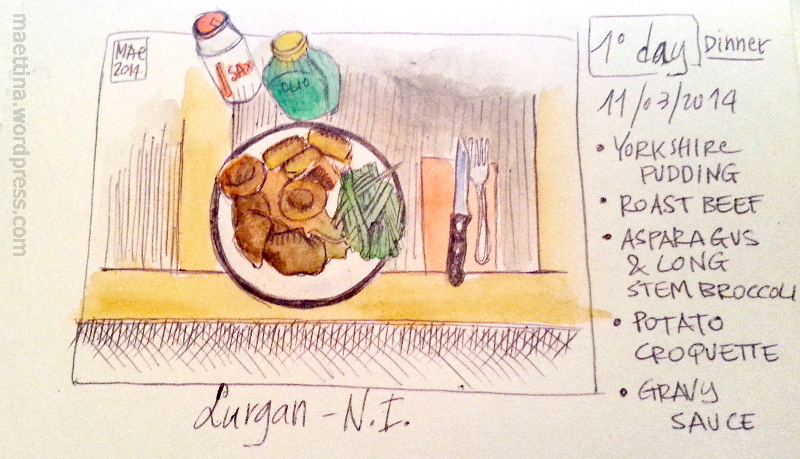 Irish food drawings from now to my depart…let’s start! 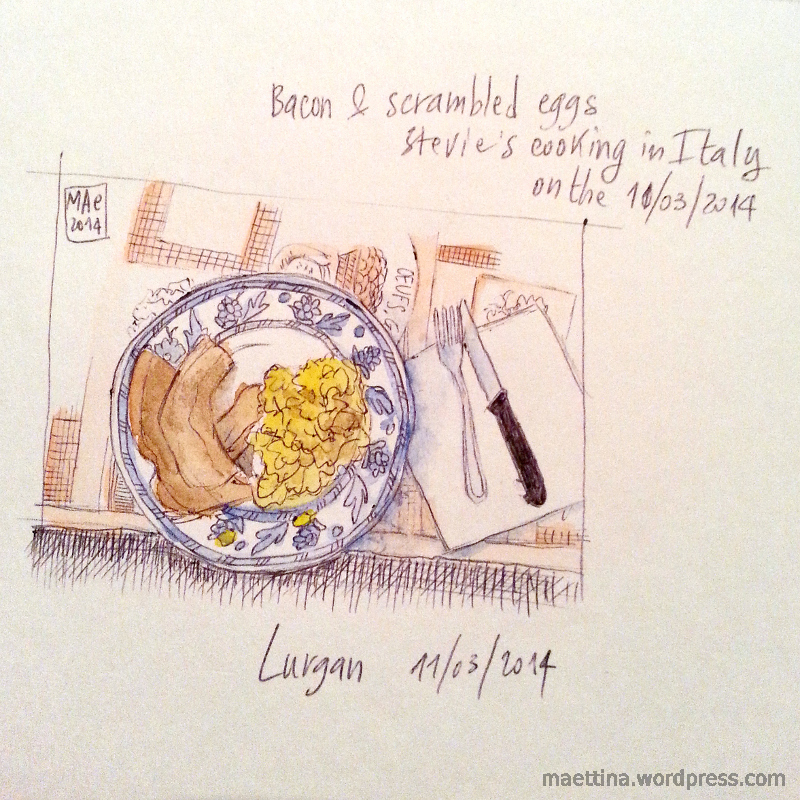 Let’s start: this is the dinner I had last night at Stevie’s house…I know it’s incredible to say for an italian, but I missed irish food’s taste! Iniziamo: questa è la cena di ieri sera a casa di Stevie…lo so che è incredibile da dire per un’italiana, ma mi è mancato il cibo irlandese! Yorkshire puddings (per gli italiani: guardate qui cosa sono).